USB flash drives are a removable storage solution. Certainly, the most recognized aspects of the flash drive are its connector and the memory stick. The USB form factor and the shape of the stick is not specified by the USB Implementers Forum (USB-IF), but the interface, protocol and connectors are specified. Two USB versions are currently widespread: USB 2.0 with a maximum transfer rate of 60 MB/s, and USB 3.1 Gen1 with a maximum transfer rate of 530 MB/s. The USB Implementers Forum (USB-IF) has defined a USB mass-storage device class. Designed initially for HDD, it was extended to support flash drives. Most computer systems can boot directly from a USB flash drive or run applications directly from the USB drive. USB flash drives have gained huge popularity due to their significant advantages over other storage media, in terms of power consumption, performance, storage capacity, reliability, weight, size and plug-and-play capability. The wide distribution and good compatibility behaviour as well as the sturdiness of the connector make USB a very popular removable storage media also for many industrial or security applications. 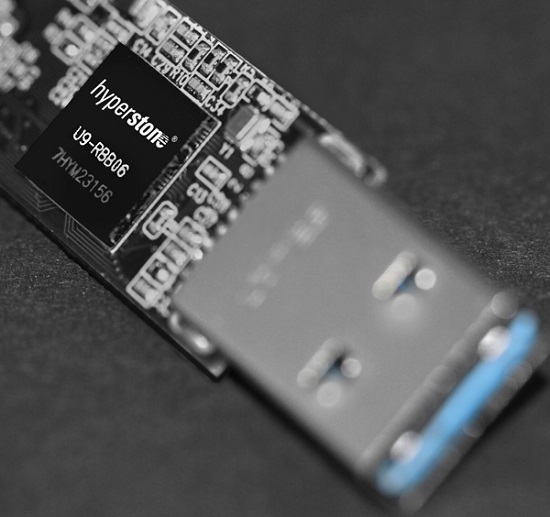 Especially for security, Hyperstone provides dedicated development tools for USB solutions.